The GB162 system gas boiler is perfect for larger homes and families and could even be used for commercial application. This boiler can be installed on its own or as part of a multi boiler cascade system. 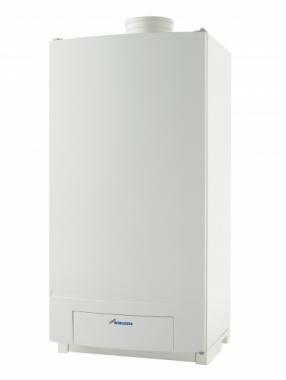 The GB162 has an output of 50kW making it a highly efficient boiler. This boiler is manufactured by Worcester Bosch and is wall mounted. It is a versatile and compact condensing model that is able to work in conjunction with solar thermal. It boasts an easy to use control system and includes intelligent features such as a weather and load compensation, helping to ensure maximum efficiency and comfort.